Detail of the "banner" illustration in watercolor that ran along the top of a full page Aunt Jemima Pancake mix ad in a mid 1950's to mid 1960's issue of LIFE, LOOK or the SATURDAY EVENING POST. The caption says that on the right is "Colonel Higbee's plantation" where the fictional African American cook Aunt Jemima was a slave before the Civil War and remained as a faithful servant to Colonel Higbee after the war was over and she was "set free. "The illustrator probably based the plantation house itself on Scarlett O'Hara's "Tara" in David O. Selznick's epic 1939 film version of Margaret Mitchell's GONE WITH THE WIND. 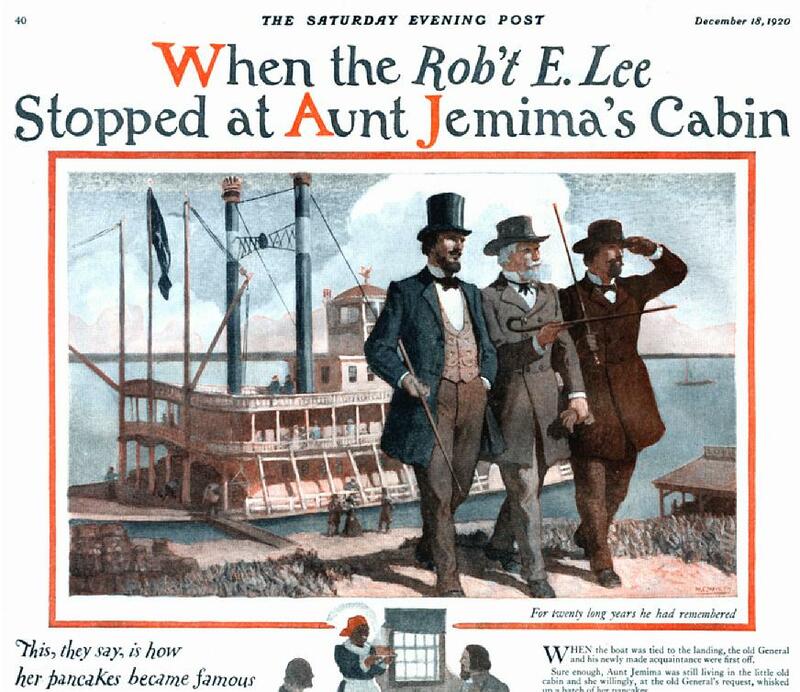 The steamboat "PRINCESS" closely resembles the KATE ADAMS as she looked when remodeled to portray the antebellum steamboat "LA BELLE RIVIERE" in the 1926 silent film of UNCLE TOM's CABIN. Detail of some ad art painted by celebrated illustrator N.C. Wyeth for a December, 1920 issue of the Sat. Eve Post. Boat looks too petite to be the R.E. Lee though. Wyeth also painted a couple of steamboat illustrations for Jim Bludso (engineer of the Prairie Bell) in a special edition of John Hay's Pike County Ballads. This is the graphic portion of an 1890's color lithograph "No. 536" from Donaldson in Cincinnati. The red letters above and below (cropped out here) promoted the Stony Creek steamboat recreation pier at New Altona Beach. An "Ideal Picnic Resort." Apparently this was in New York state someplace where I'm sure the boats did not resemble our favorites but the graphic is pretty nice. The generic boat has no name though it resembles the CINCINATTI. The artist eliminated the swinging stage on the port side, probably to keep it from being cropped by the oval vignette. The image area is about 27 inches square. 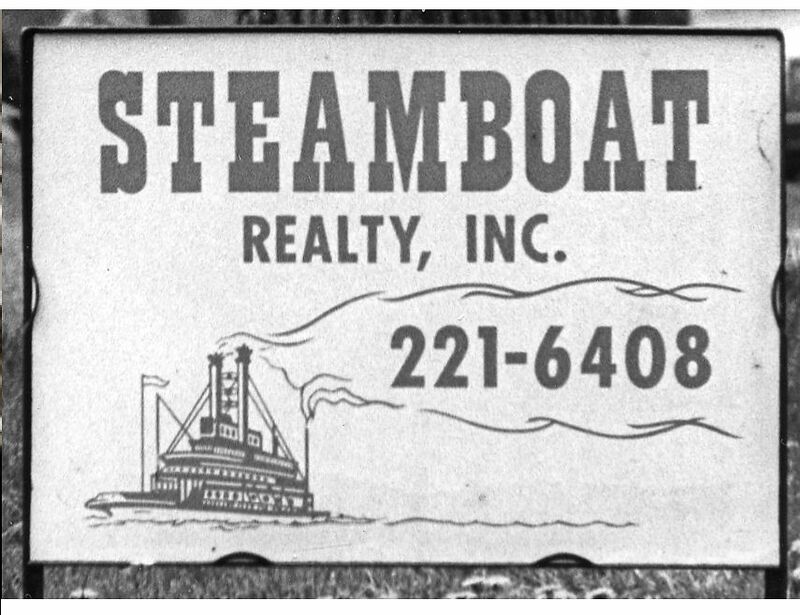 Attached is a scan of a detail of a steamboat from a magazine ad that I bought on eBay taken from an undated magazine, probably four or five decades old. At first I thought Rice-Stix was some kind of snack food but turned out the company was a big St. Louis dry goods wholesaler. I like this style of "idealized" illustration, much like an Iowa muralist who specialized in steamboats . . . don't recollect his name but Ed Garbert and I based our Hannibal, MO 1848 panorama on his post office mural style. "Rice-Stix Inc. was a dry goods wholesaler that started in a small building on North Broadway and grew into one of the largest manufacturers and distributors in the country. Jonathan Rice, William Stix, and Benjamin Eiseman opened a small retail store in Memphis, Tennessee, in 1861. Other members of the families—Jonathan Rice, David Eiseman, and Elias Michael, a Stix son-in-law—joined the firm. 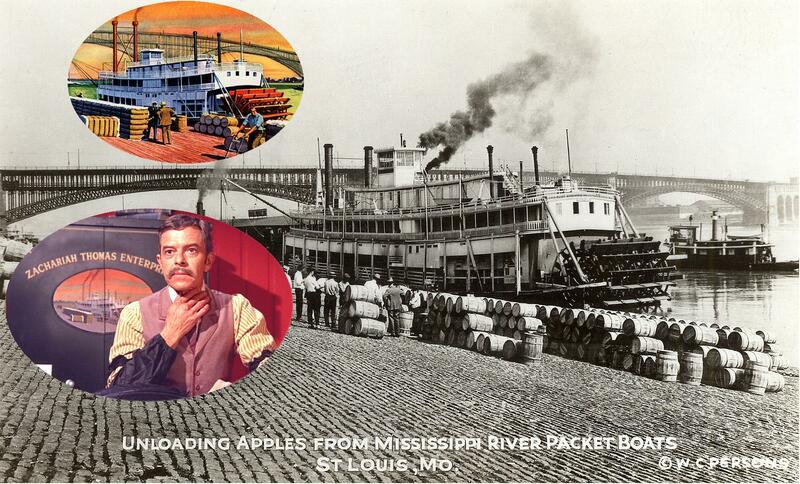 The yellow fever epidemic of 1878 spurred the company to move upriver to St. Louis the following year, where the store opened in a small building at 410 North Broadway and soon expanded along that thoroughfare. In 1889 the company moved to a newly completed structure, later known as the Merchandise Mart, and by 1907 Rice-Stix occupied the entire building on the block of 10th, 11th, St. Charles, and Washington. In 1913 an annex was added a block south and in 1920 additional space was constructed. Rice-Stix had the largest space of any downtown St. Louis firm, plus warehouses and factories in outlying areas. By midcentury Rice-Stix offered some forty products and was one of the largest manufacturers of wearing apparel in the country, with imports from Ireland, China, Japan, and Europe. The firm included eighteen factories in the Midwest and six branches of traveling salesmen. In 1955 the families sold the company, and in 1957 it was moved to New York." Might be one of the "Anchor Line" boats out yonder on the river with the anchor device twixt the stacks. 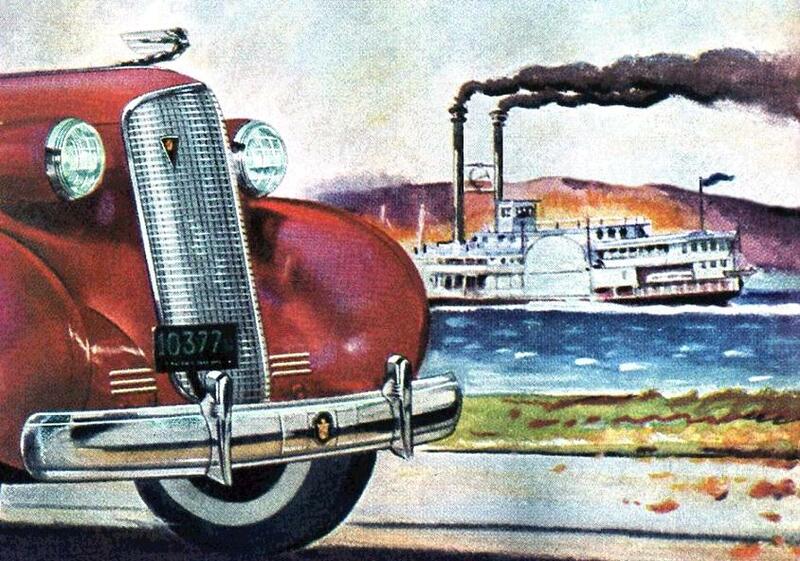 Detail for a 1937 print ad for the Cadillac series "60" with 135 horsepower and all the V-8 "smoothness, acceleration and dependability" for only $1,445 (prices subject to change without notice). Lan' o' Goshen even pennies, nickels, dimes & quarters had real purchase power in them days. Handles on that pilot wheel are awful chubby, hard to get a little "mitt" around one. 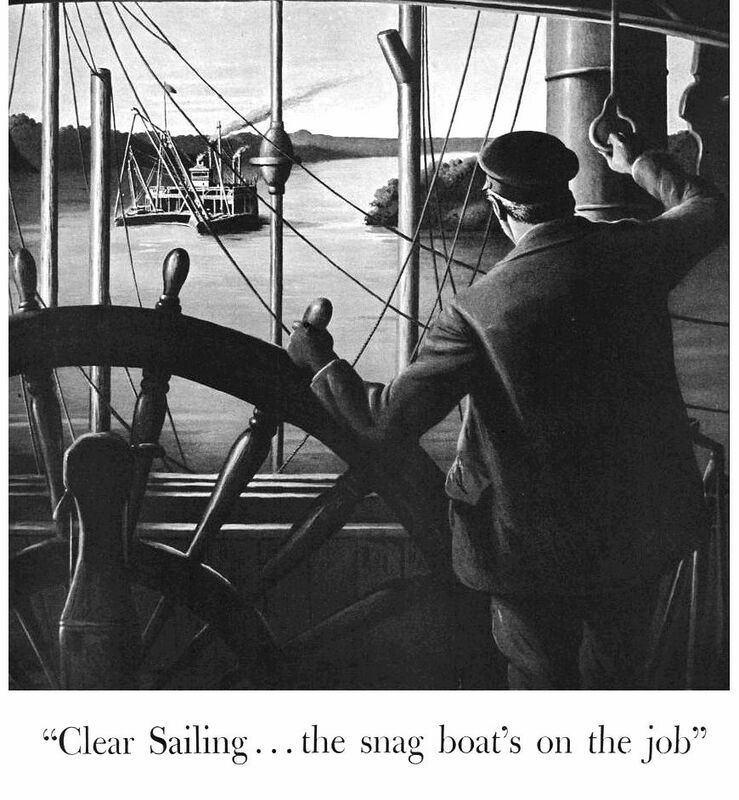 Traveler's insurance ad from inside pilot house with snag boat in distance on the river. 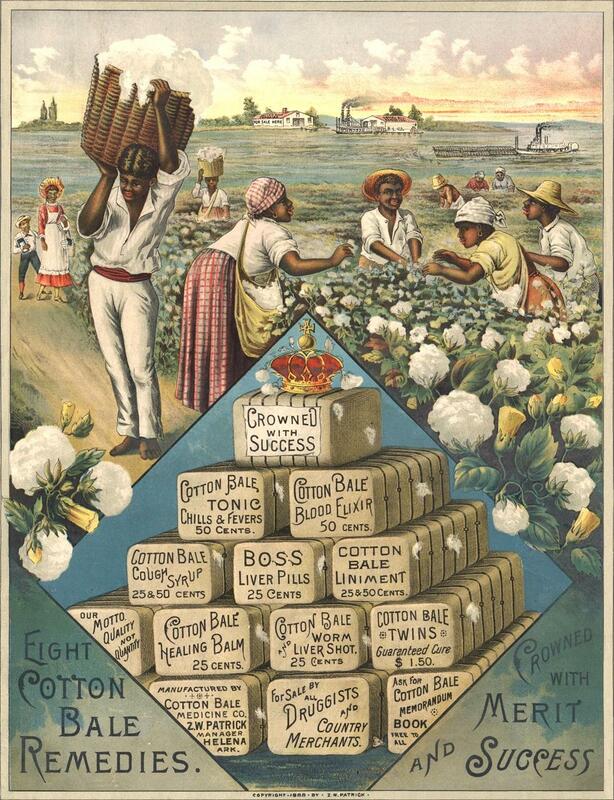 1888 PROMOTIONAL POSTER from the Library of Congress collection; "Eight Cotton Bale remedies. Crowned with merit and success"
Advertisement for Cotton Bale Medicine Co. (Helena, Arkansas) patent medicines, including blood elixir, tonics, cough syrup, liver pills, liniment, healing balm, and "worm and liver shot." Image shows African Americans at work in cotton fields, with steamboats on the river in the distance. 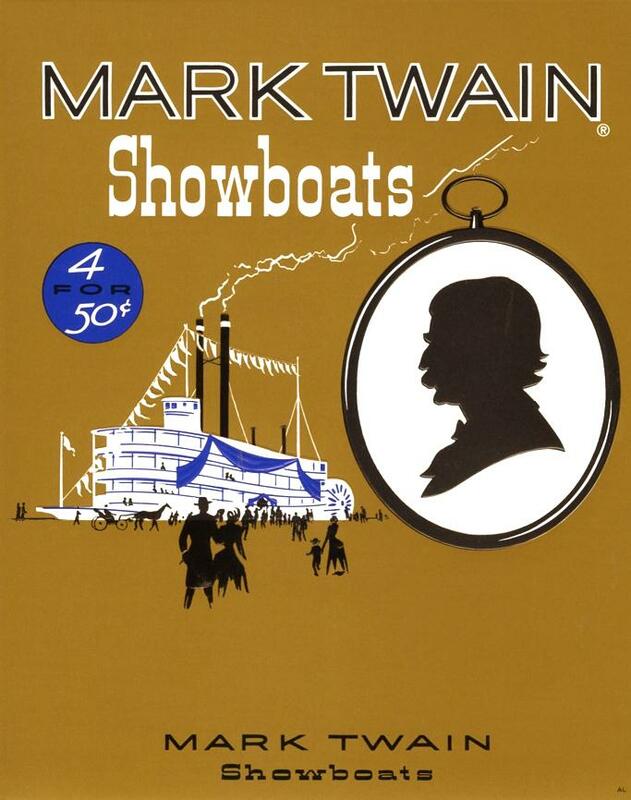 An ad for Mark Twain Showboats (cigars). The PIASA at LaClede's landing, Eads Bridge in the background. Upper left vignette of illustration from the Kelly Tire ad based on the photo of the PIASA. Lower left a frame from 4 FOR TEXAS (1963) in which the Warner Bros. art department painting of the PIASA is seen in an oval vignette on the doors of the safe behind Grady Sutton as the nervous clerk. The fictional Zachariah Thomas was played by Frank Sinatra. Hannibal, Missouri, from the Hannibal Courier Post, published in the 1980s. 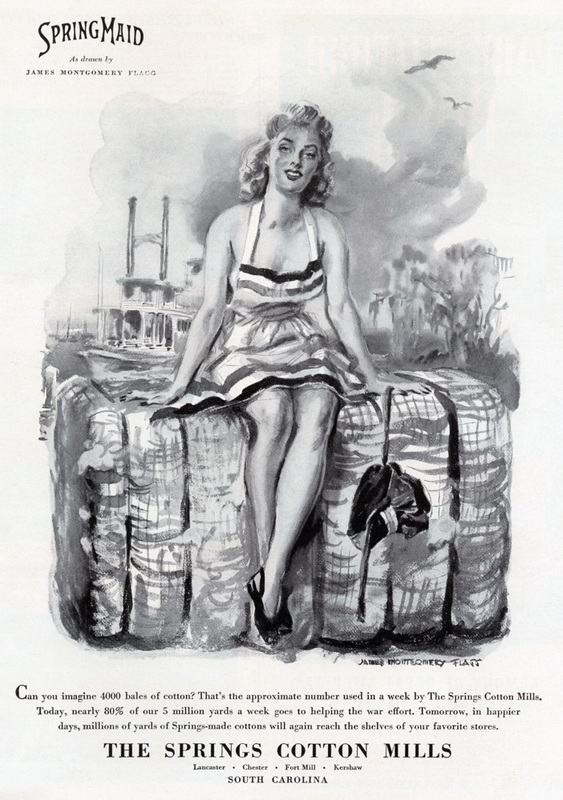 1943 LIFE magazine advertising art by illustrator James Montgomery Flagg for Spring Maid brand Springs Cotton Mills of South Carolina, which used 4,000 cotton bales a month during World War 2 to produce 5 million yards of fabric, 80% of which went to the war effort. 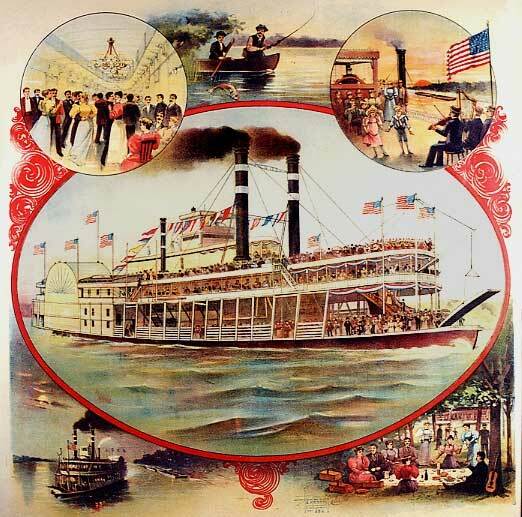 It looks like Flagg referred to a photo of the little steamboat SUWANEE at Henry Ford's Greenfield Village in Dearborn, Michigan to paint the steamer in the background. 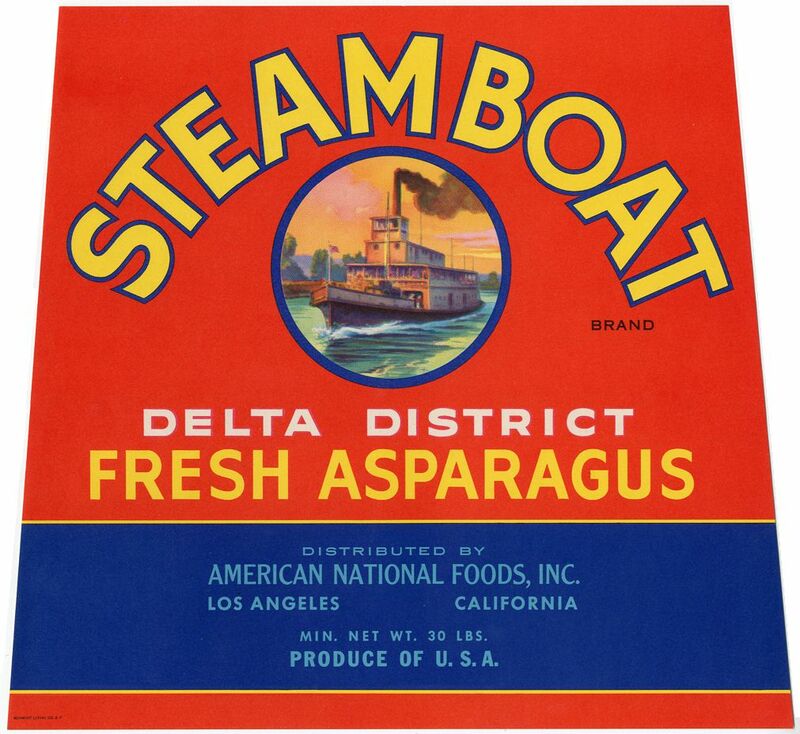 Steamboat label from the days of Sacramento produce crates.